Thieves Fruit & Veggie Soak cleans with naturally derived ingredients, so it doesn't affect the taste of apples, oranges, broccoli, carrots... you get the idea. Why use anything else? 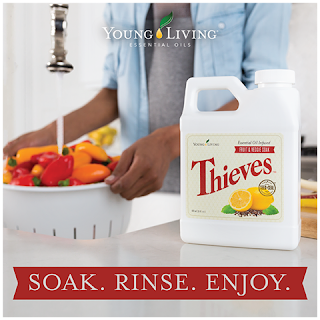 Just add Thieves Fruit & Veggie Soak to a basin of water: soak, rinse, and enjoy eating your fruits and vegetables as nature intended.